Norfolk Network’s Autumn event programme kicked off with Glyn Cotton, CEO and Co-Founder of Watr. Just 18 months ago, Glyn was sitting in the audience listening to a talk about the Internet of Things and connected devices. “There was no way that I thought a year and a half later I’d be back talking about a business I had created,” Glyn confessed. 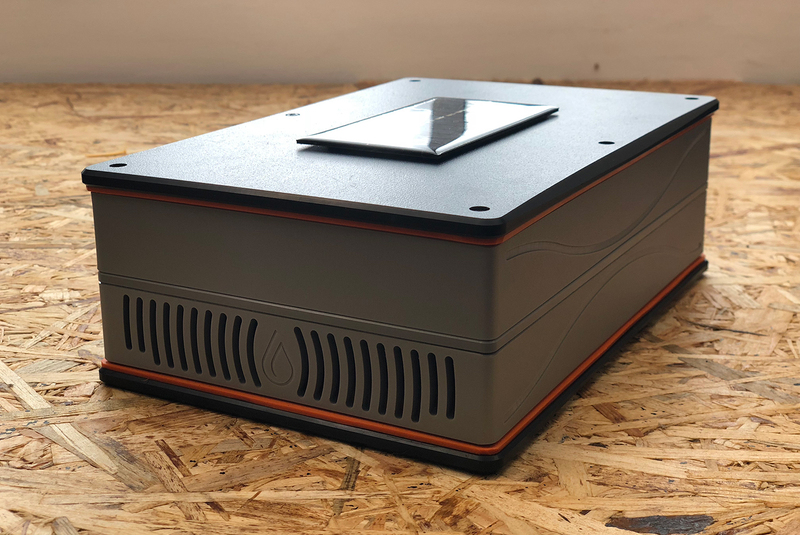 In that short time Watr has grown from a spark of an idea to monitor water for the fishing industry into a product moving into mass production. When Glyn had the idea for Watr he was fishing in a lake in Norfolk where a chance conversation with his friend, who owned the lake, led to a surprising discovery. He told Glyn how he had been on holiday when his lake experienced a detrimental loss in oxygen levels. The fire brigade was called to re-oxygenate the lake but, despite their efforts, a quarter of a million pounds worth of fish stock was lost. Glyn found out that his friend used a handheld probe to measure water quality, which he then recorded in a notebook. “I thought, there has to be a better way,” he recalled. At the time Glyn was working for experiential design agency Knit, then part of Foolproof, as a Creative Technologist. Drawing on his experiences working with clients such as Lucozade, Wrigley and Hiut Denim, he designed a prototype to test alongside his friend’s manual system. 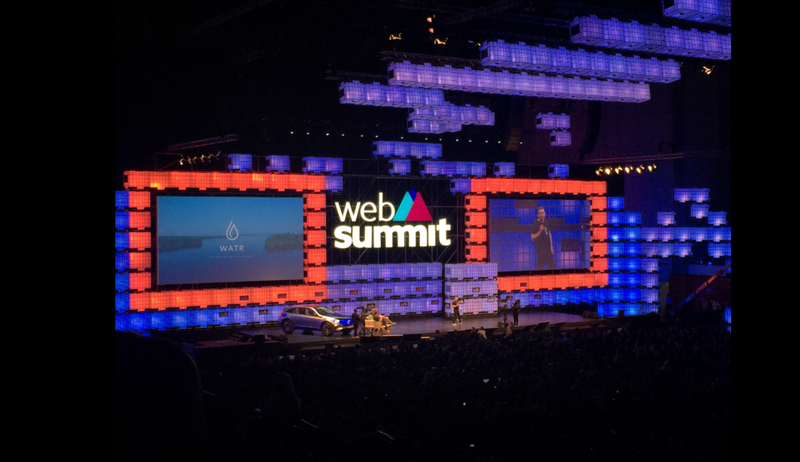 “As many people as possible” involved applying for a stand at Web Summit, the largest tech conference in the world. Accepted applicants are given a 1metre stand to demo their product and can enter into a pitch competition. Their application was successful, but they had just 4 weeks to “look like a company”, which included creating a website, shooting a product video, setting up social media, and creating the materials needed to promote the business at the Summit. The pitch was “Dragon’s Den style” consisting of rounds of 4-minute pitches against 10 other businesses. Glyn said they were surprised to receive a phone call saying they were through to the next round. They were even more surprised to reach the final, which took place in front of 12,000 people and streamed live. “I had mixed emotions, excitement, fear” he said of the experience. “My body was saying don’t do it, but my mind was saying people pay hundreds of thousands of pounds to get a product in front of this many people and that’s the whole reason we came.” Watr didn’t win but were runner’s up, which gave them exposure and generated interest from investors and other companies wanting to use their product. “We realised that this is a much bigger problem than fisheries,” explained Glyn. Applications for the technology include factories, farming, water companies and natural disasters. Industries such as these do monitor their water but are doing it in a very expensive and manual way, Glyn explained. 71% of the world’s surface is water but we have access to just 1%. “Water is going to be one of our most valuable commodities,” he said. Glyn explained how the method they were looking at in Asia used steel tooling costing £60k initially and then £60k each time they wanted to make a change. 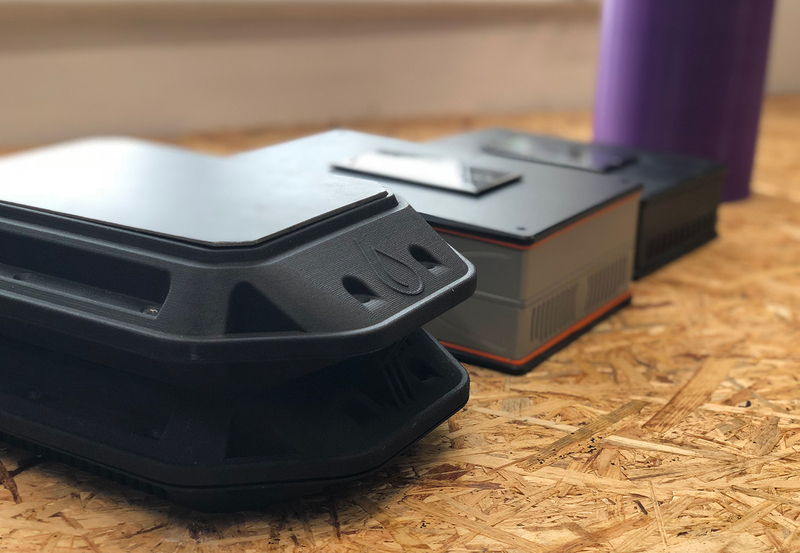 They settled on an alternative and more cost-effective method based in the UK that uses 3D printing and injection moulding. Glyn said this enables them to make iterations to their design after each production run. With production secured, the next stage for Watr will involve piloting the unit with various companies from fabric manufactures to water companies and even with the UN, who want to use it for testing drinking water in refugee camps in Bangladesh.